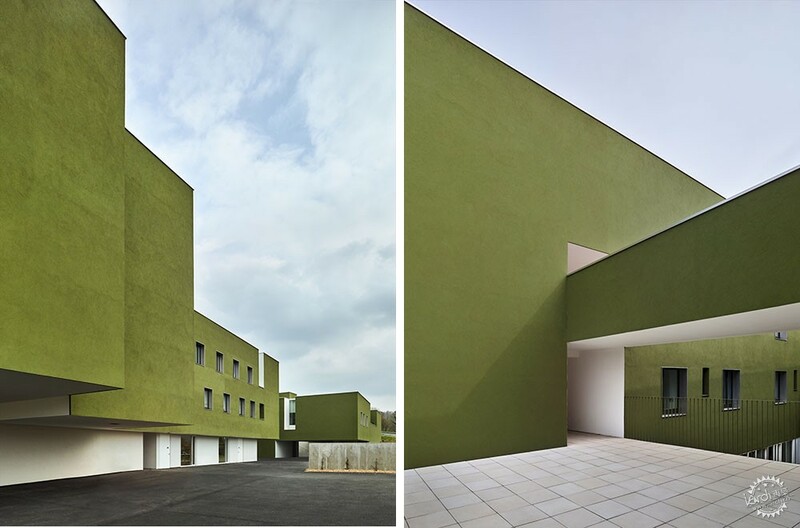 This care and retirement home has been built in the heart of the Normandy bocage near the village of Orbec. 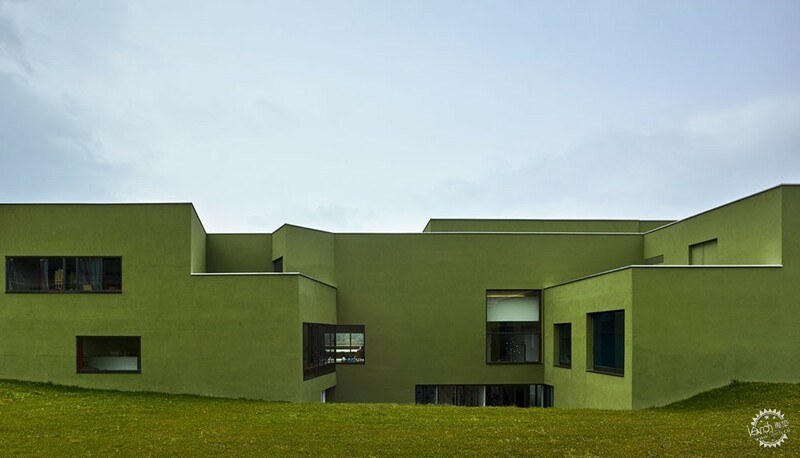 The building follows the sloping curve of the hillside, and is visible from the valley. 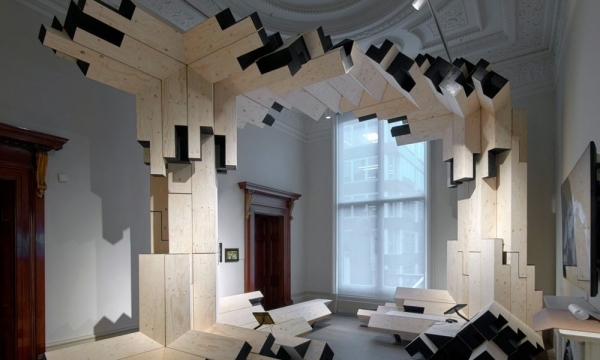 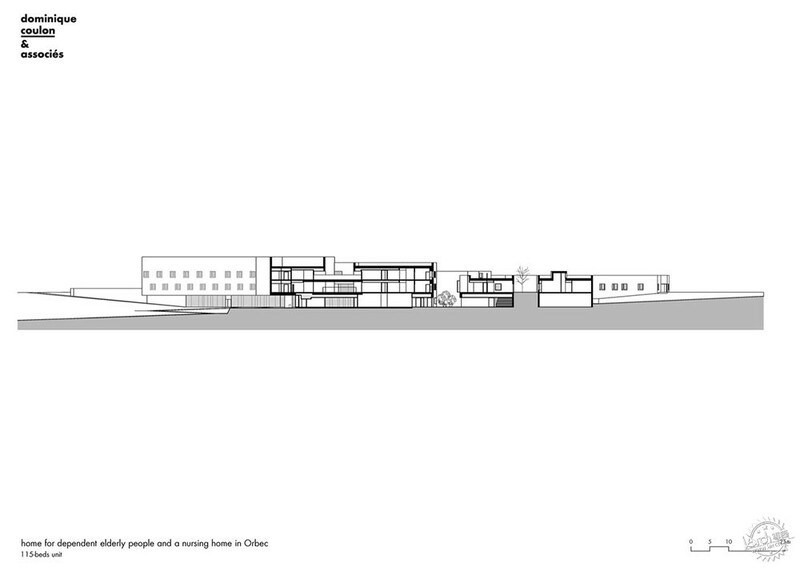 To reduce the visual impact of this imposing building, we felt it preferable to divide it up. 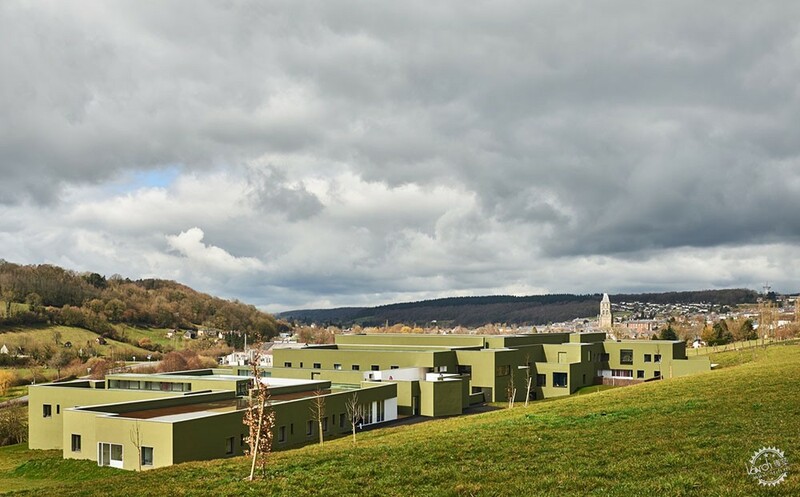 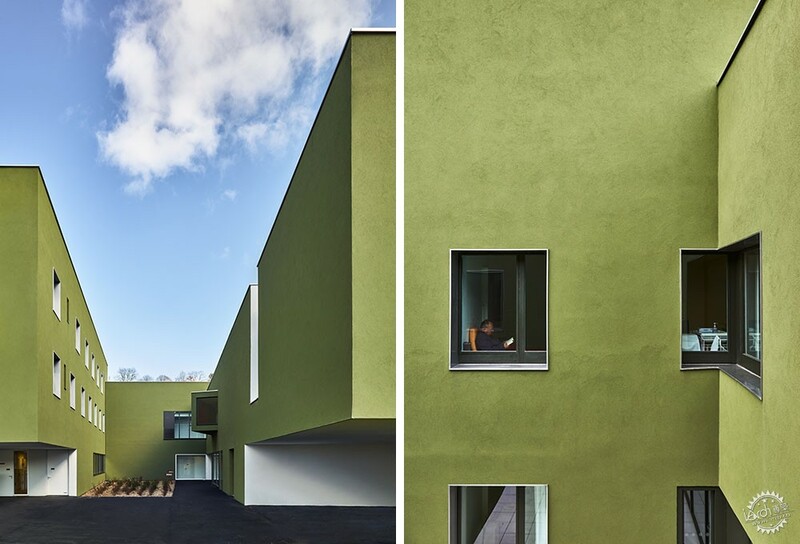 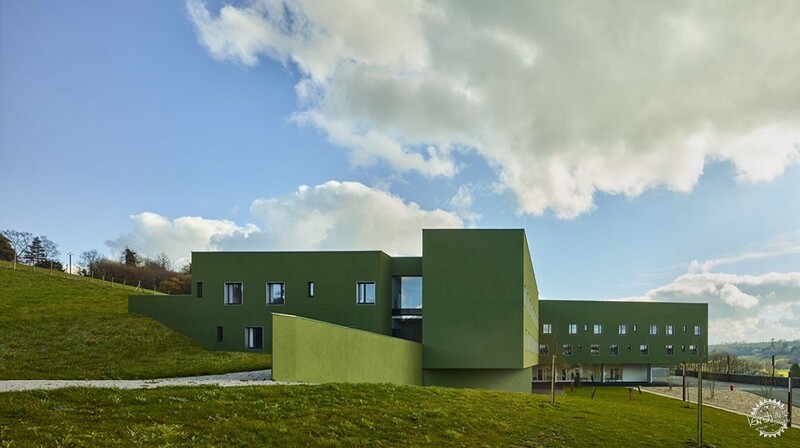 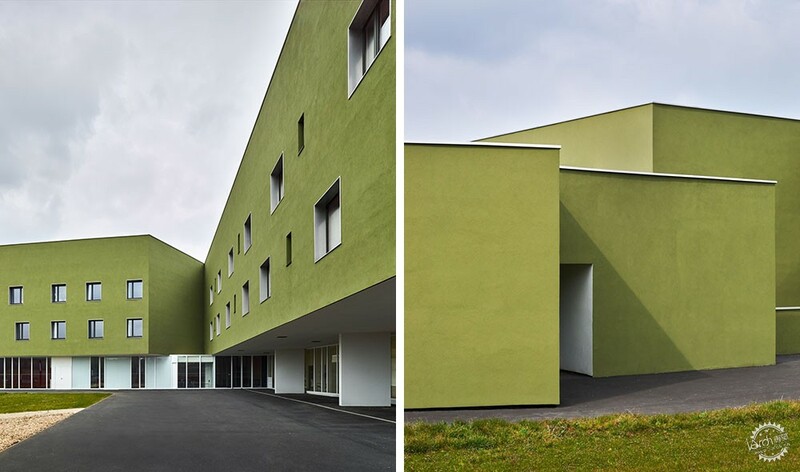 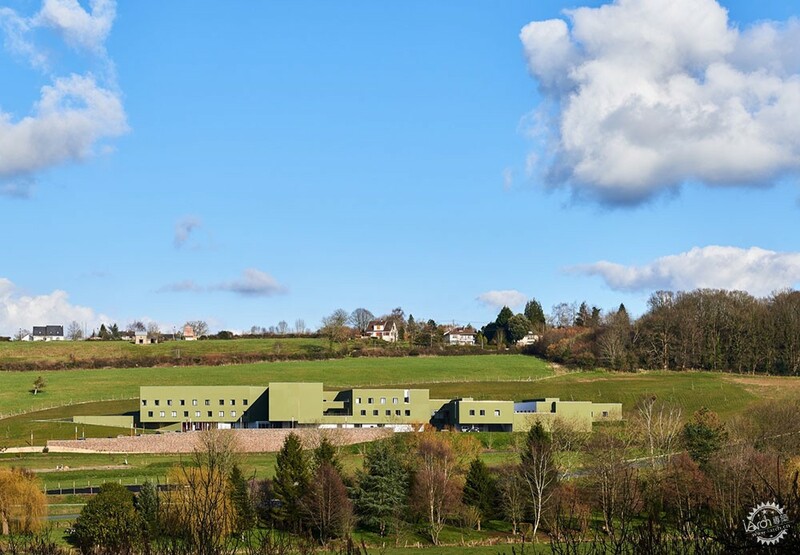 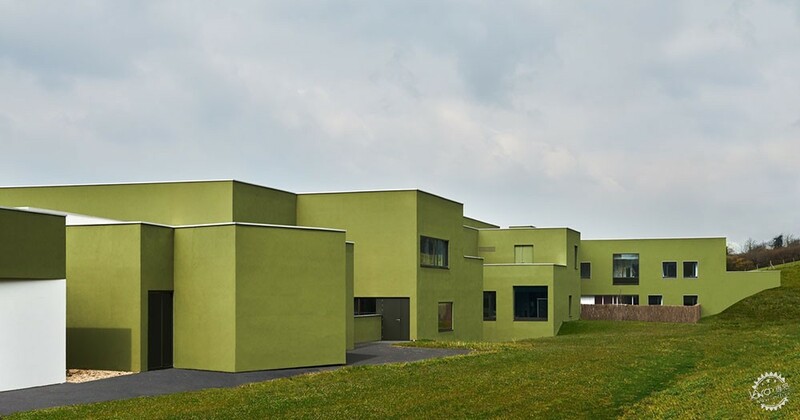 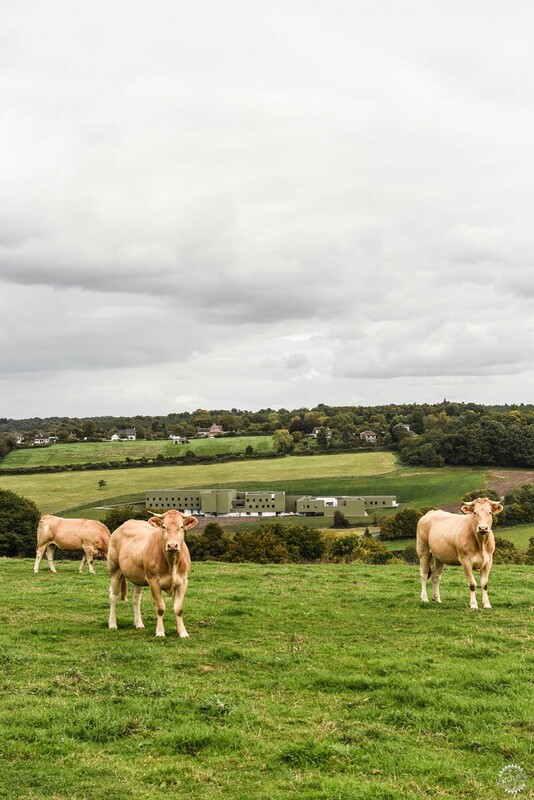 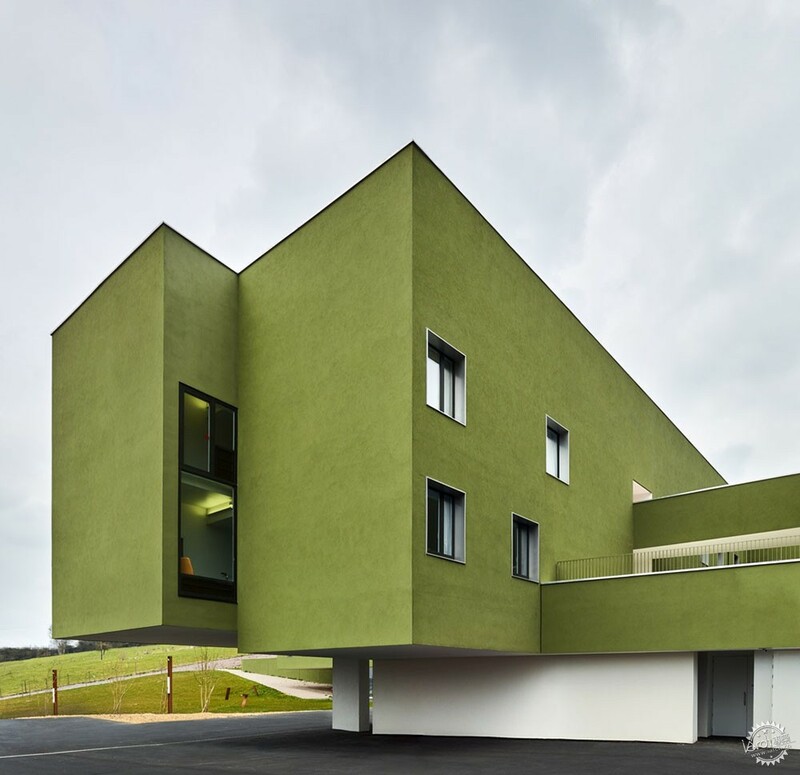 We achieved the desired effect by using the colour green, with the result that the building both blends into the larger landscape and reflects the rural nature of the site. 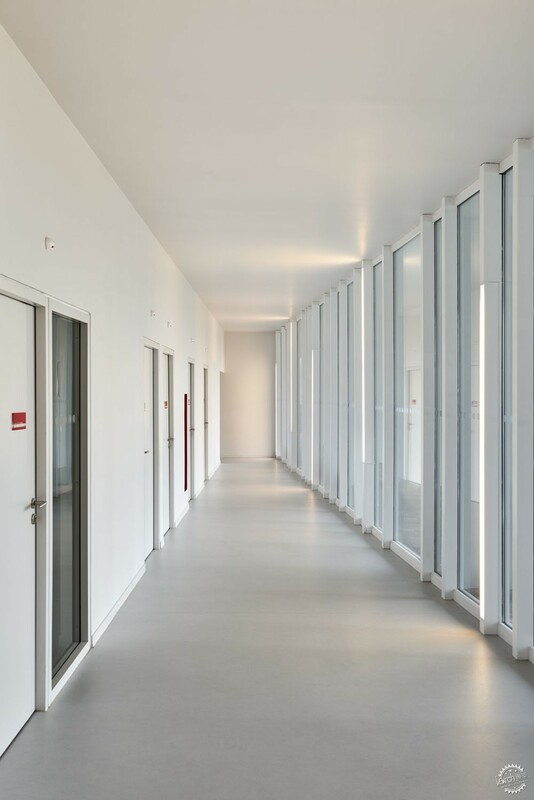 The under-faces of the overhangs and the white walls of the base produce a feeling of lightness. 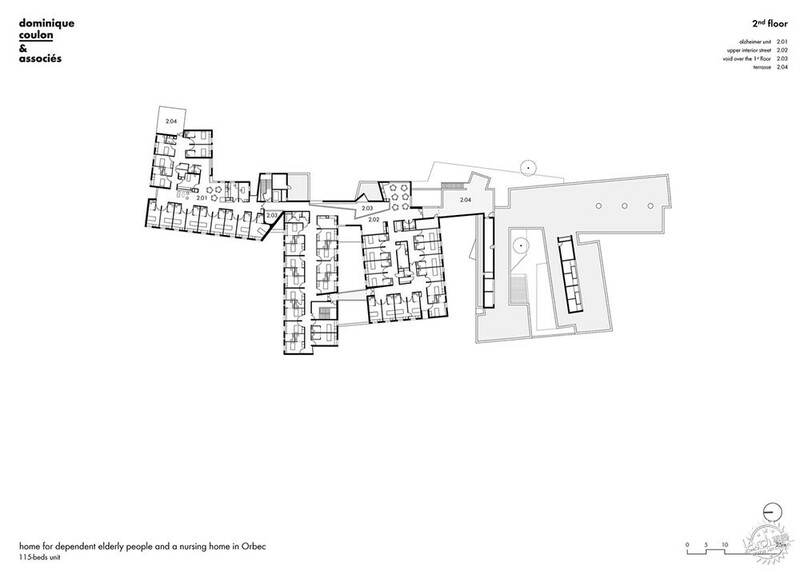 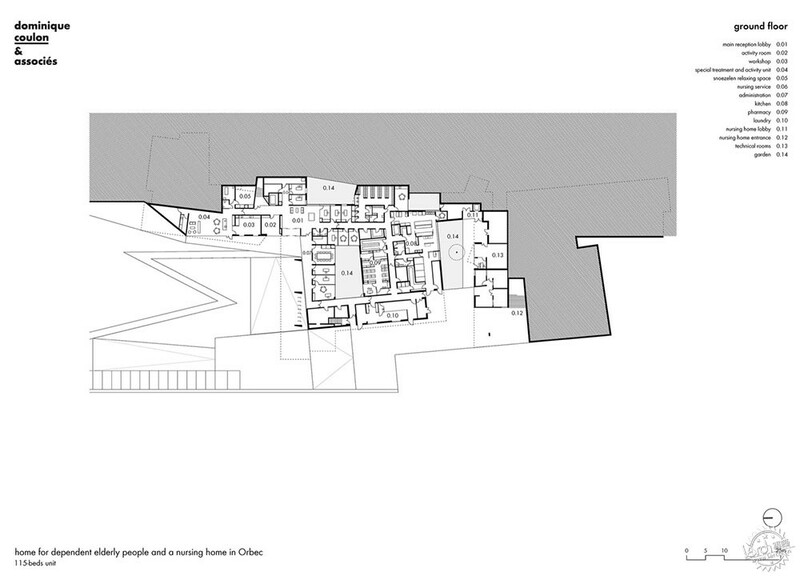 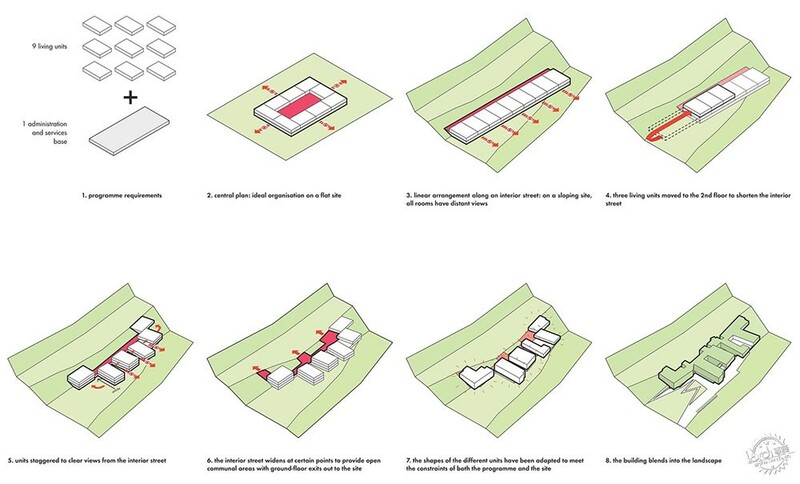 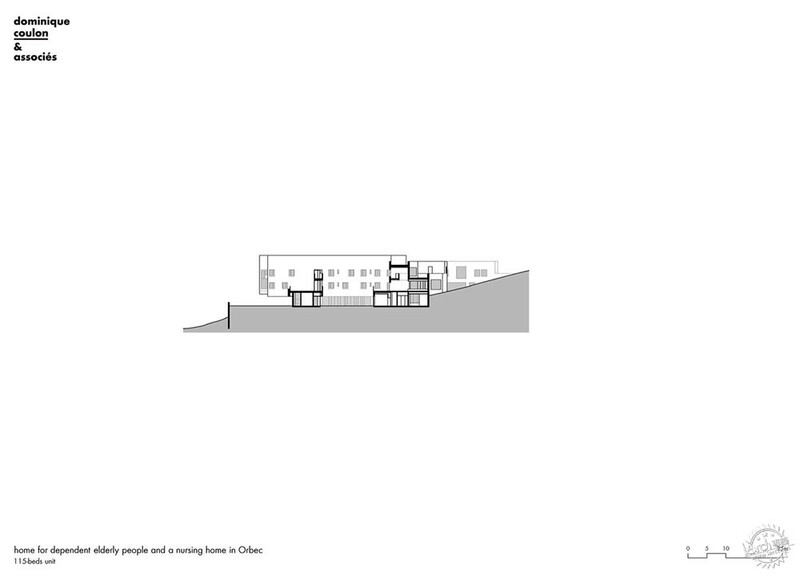 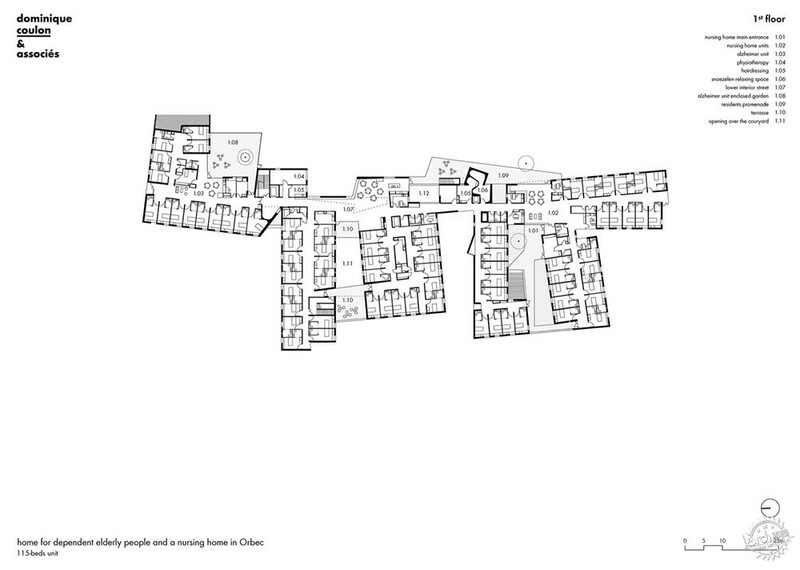 Each of the living units fits into one section of the building, and all are connected to a south-facing street, backed by the hill. 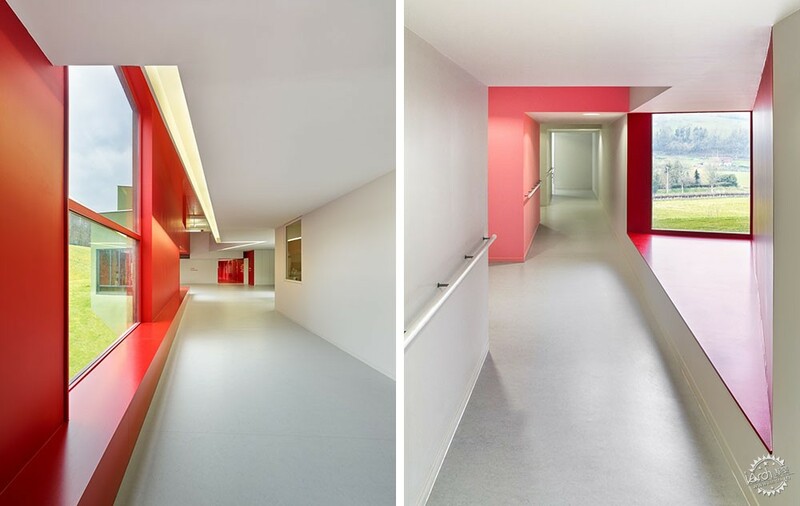 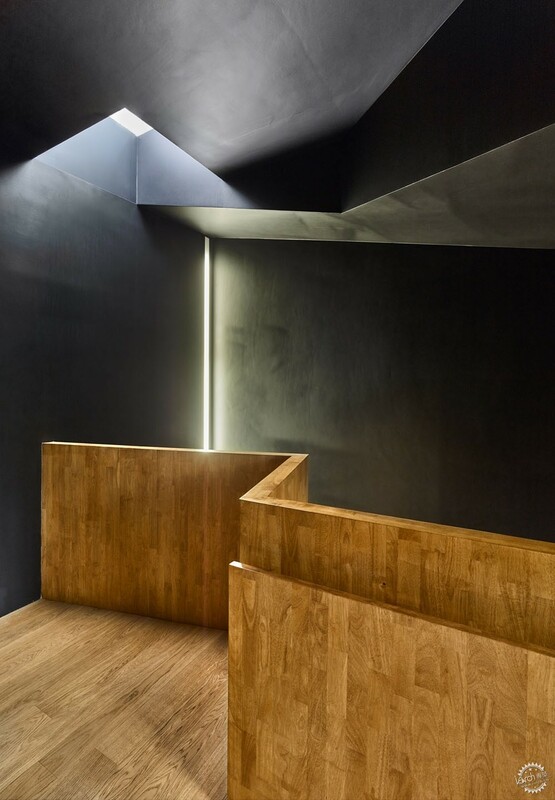 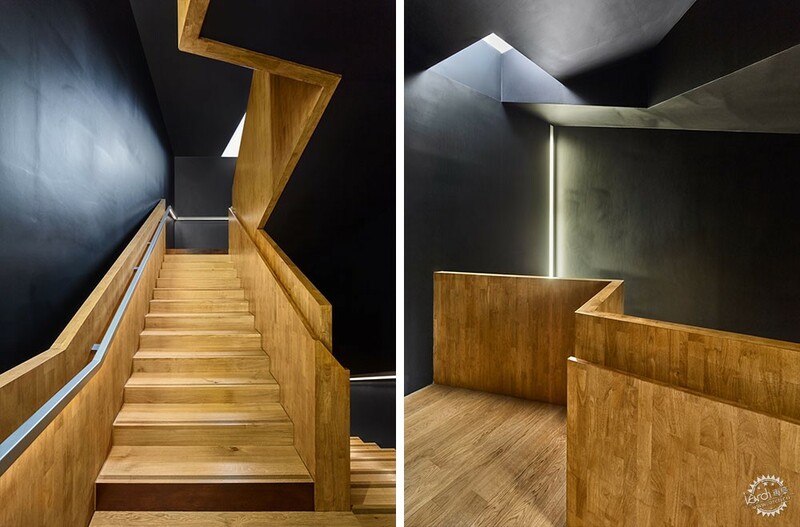 This arrangement gives views through the building from one side to the other, with light punctuating the traffic routes and achieving maximum variety. 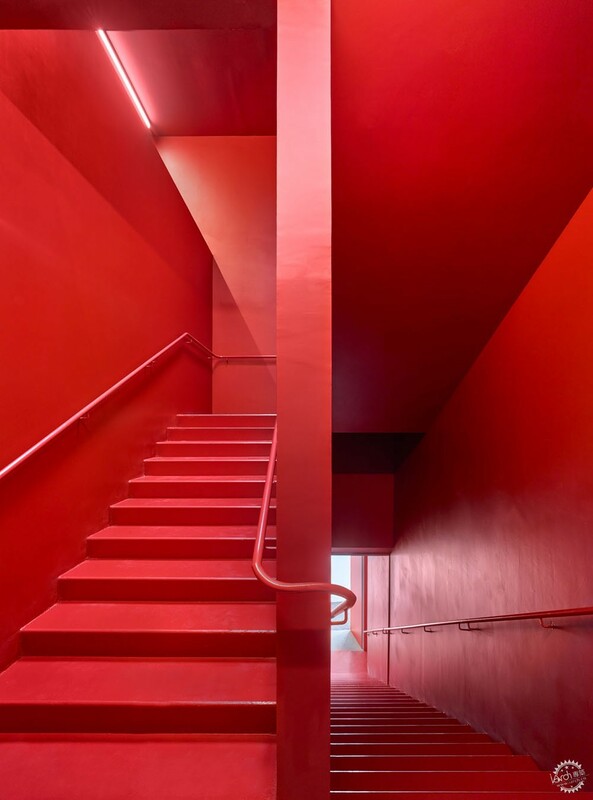 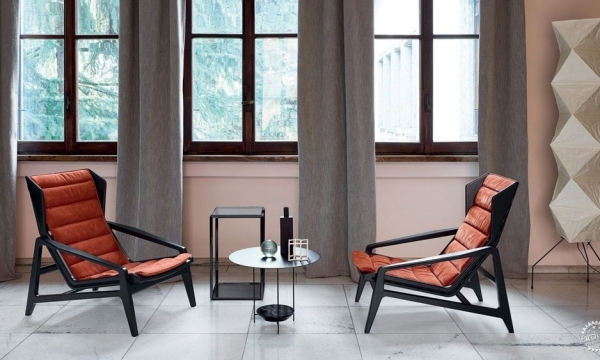 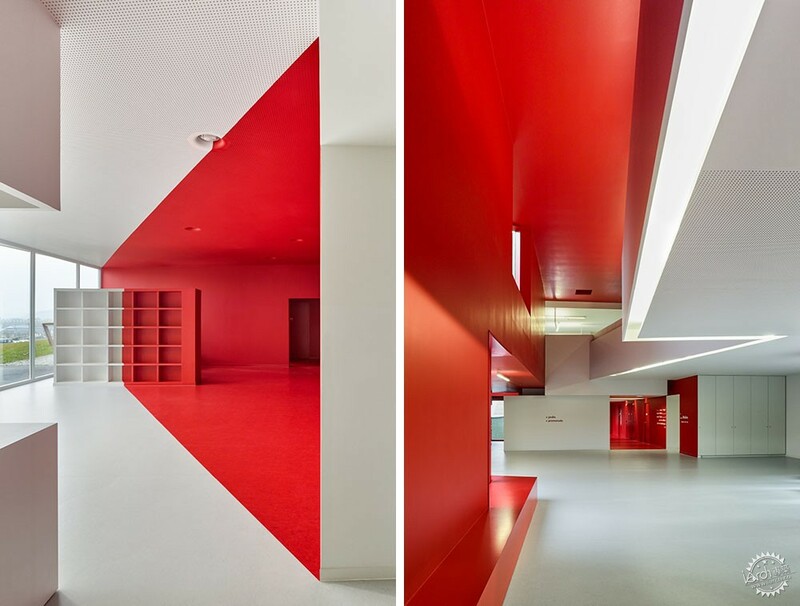 The colour red destructures the space and adds dynamic. 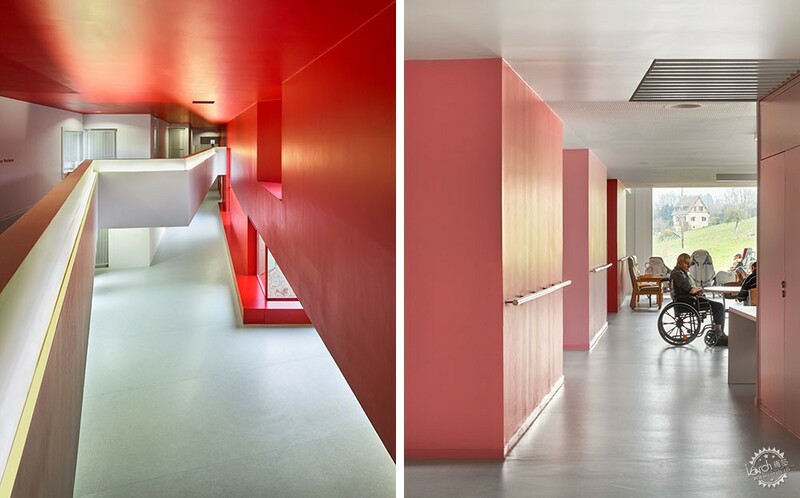 We have avoided using the conventional colours of the hospital environment. 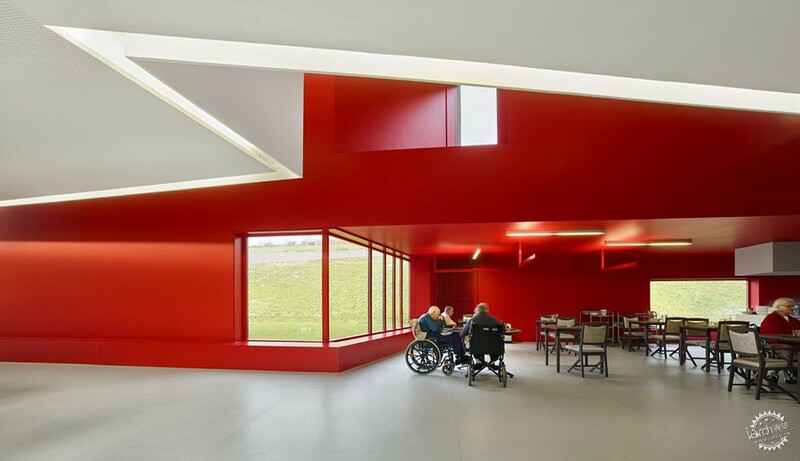 The building has been designed to enhance the living and walking areas. 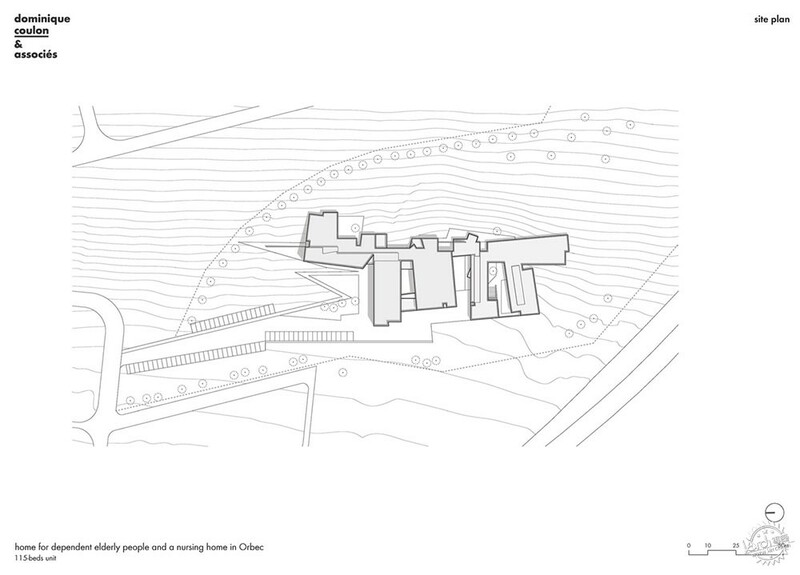 Its strength lies in its relationship with the landscape.